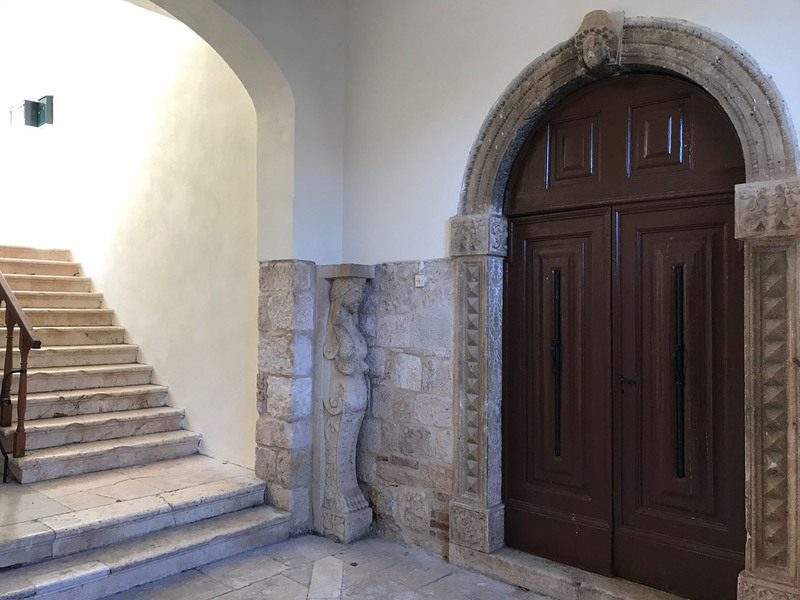 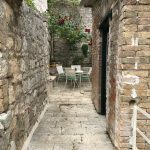 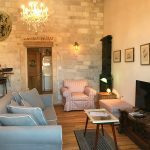 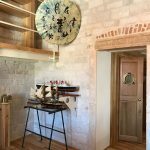 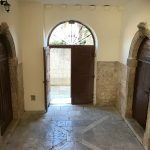 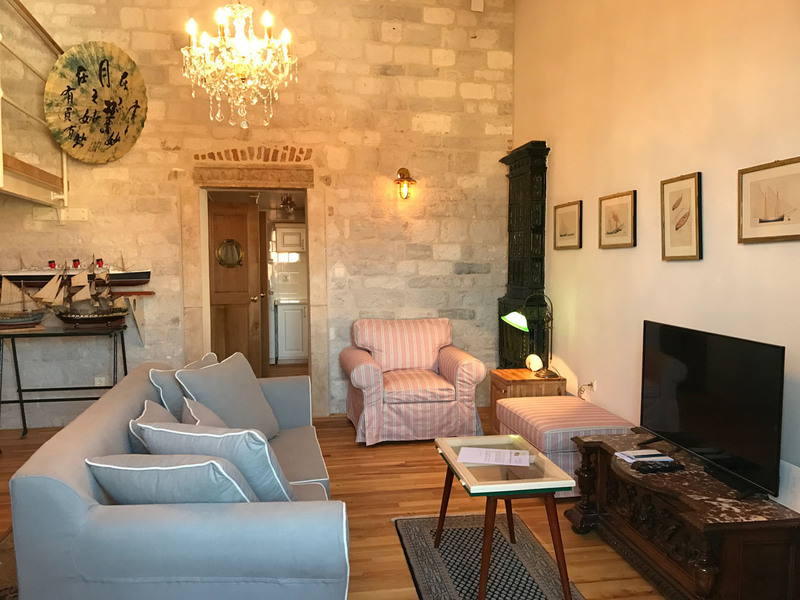 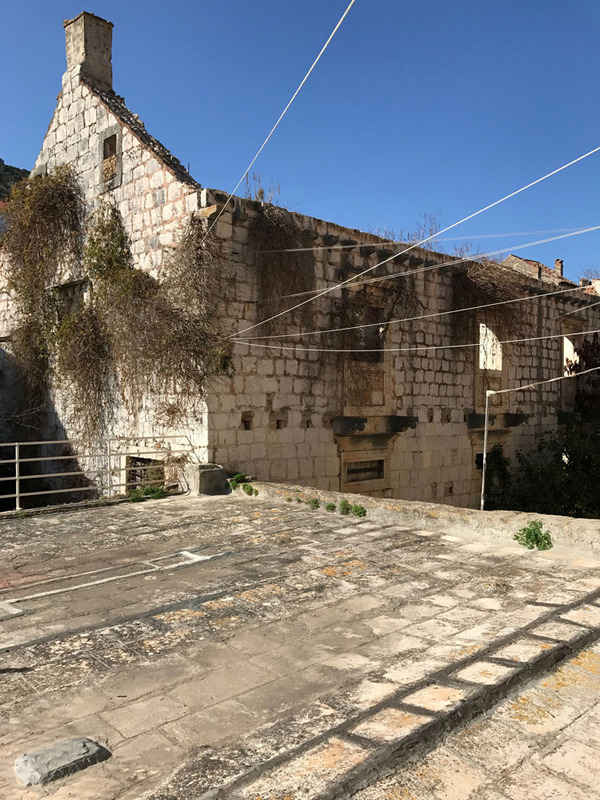 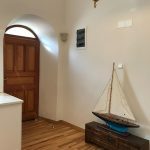 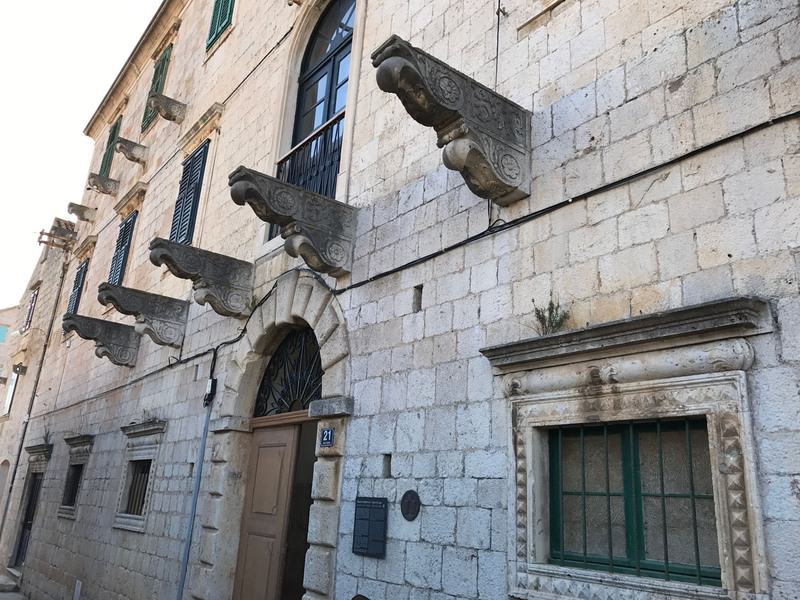 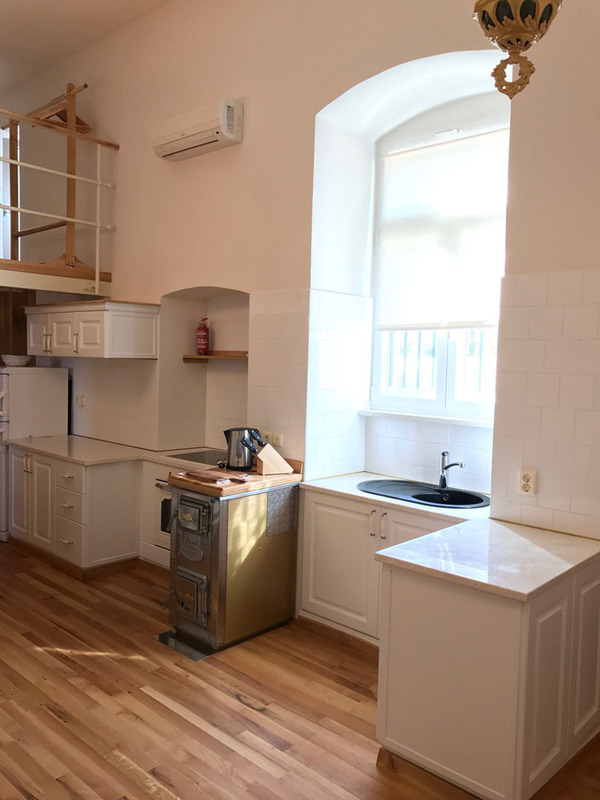 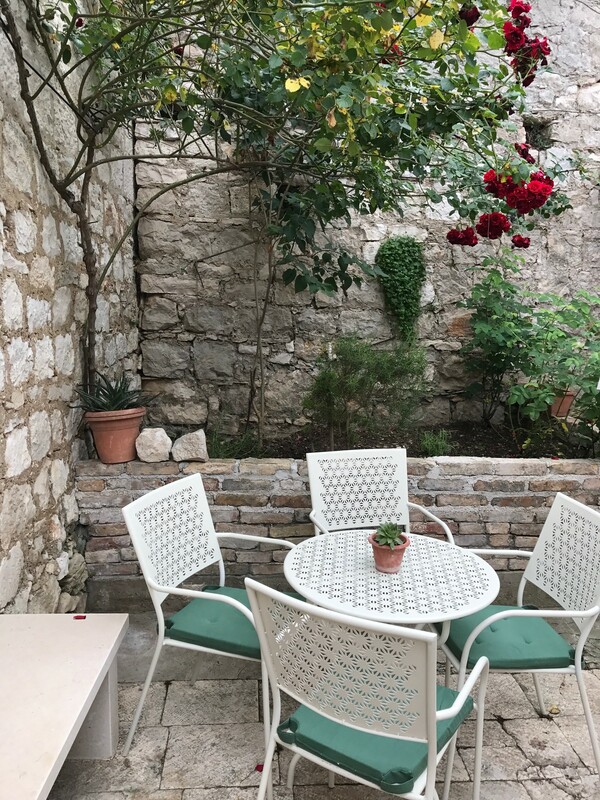 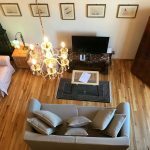 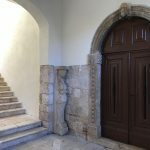 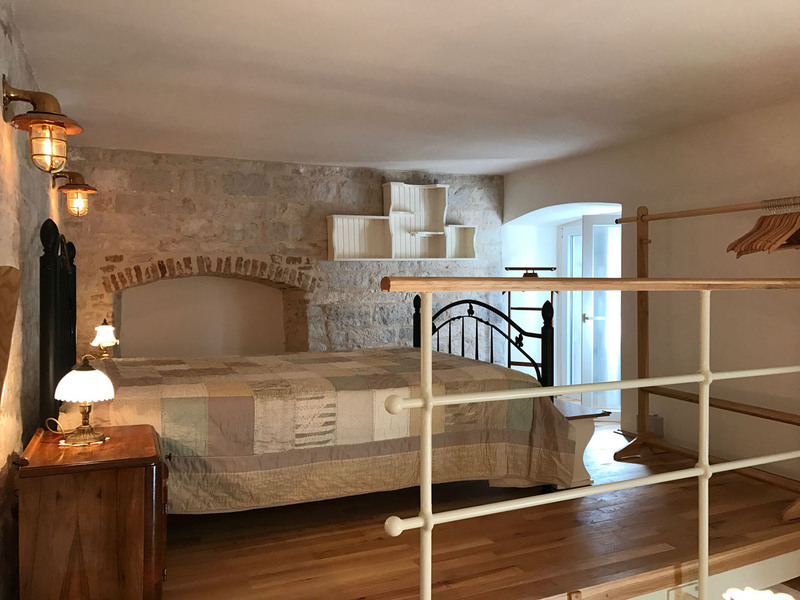 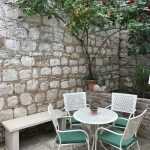 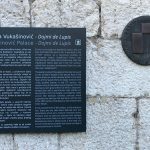 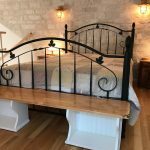 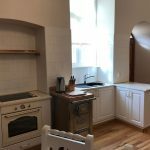 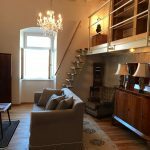 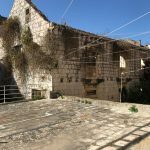 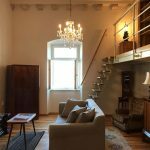 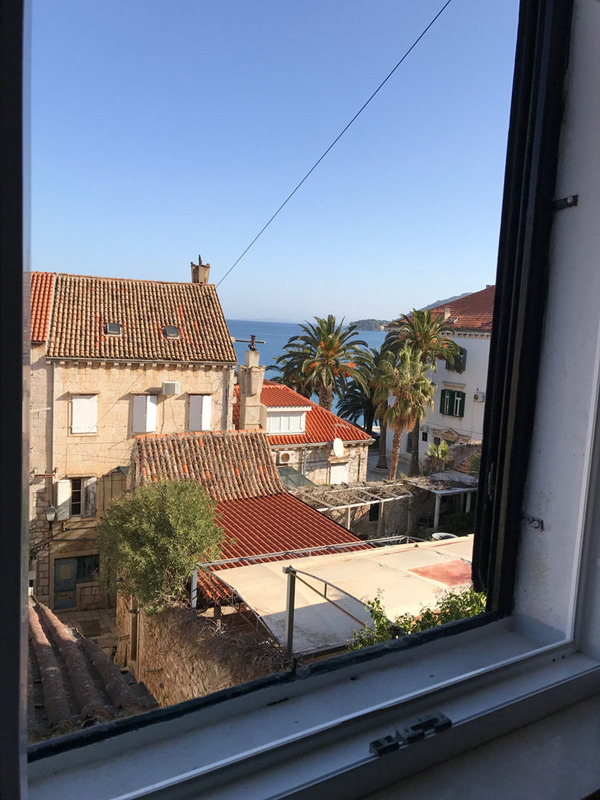 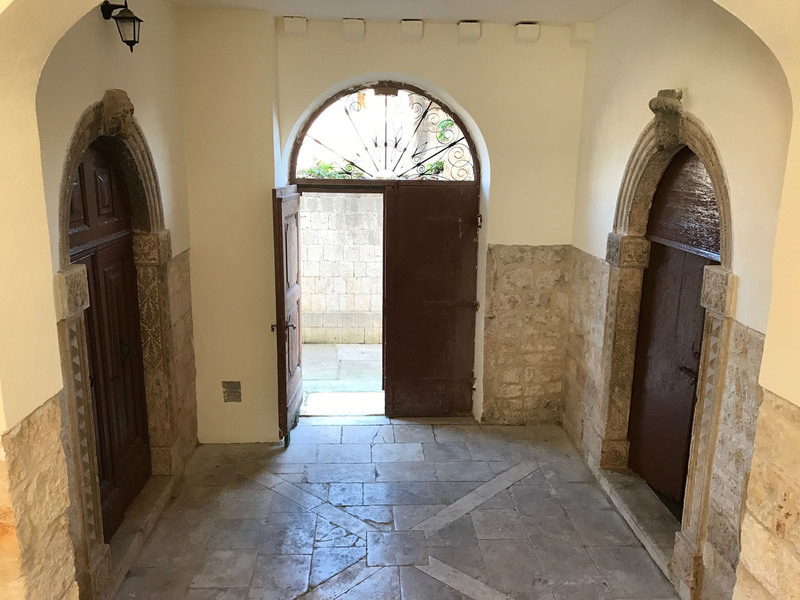 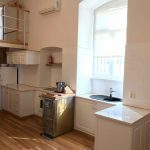 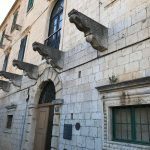 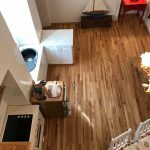 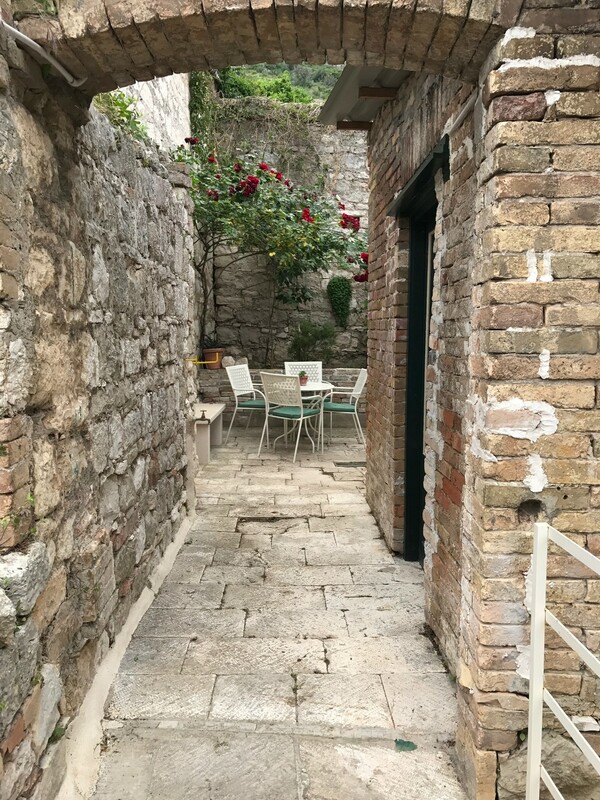 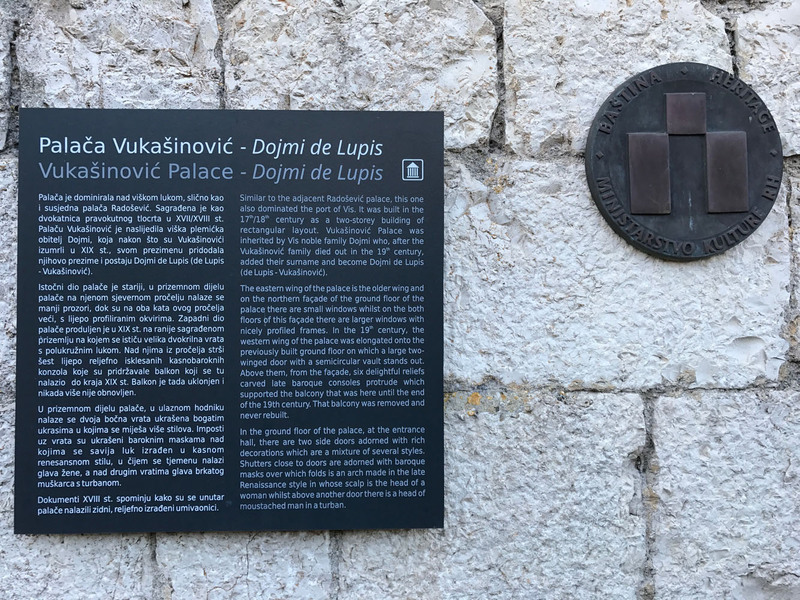 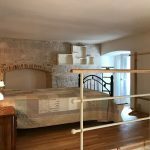 The apartment is located within the heritage listed 17th Century Dojmi de Lupis Vukašinović Palace, in the heart of Vis town. 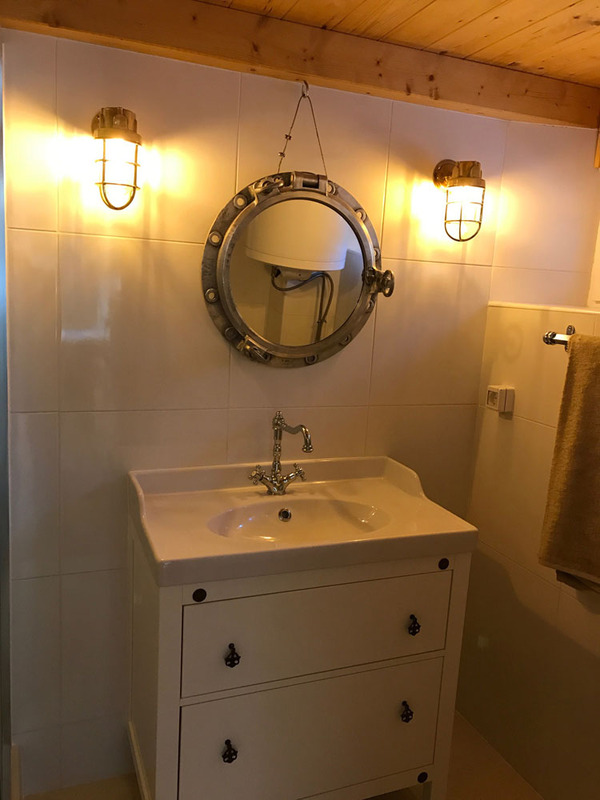 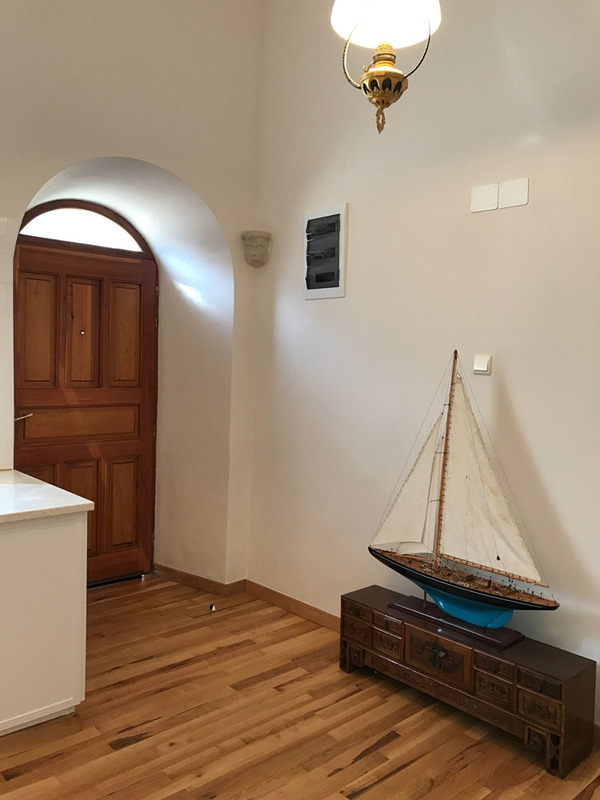 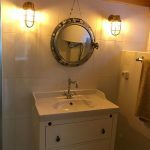 It is decorated in authentic nautical and period fixtures. 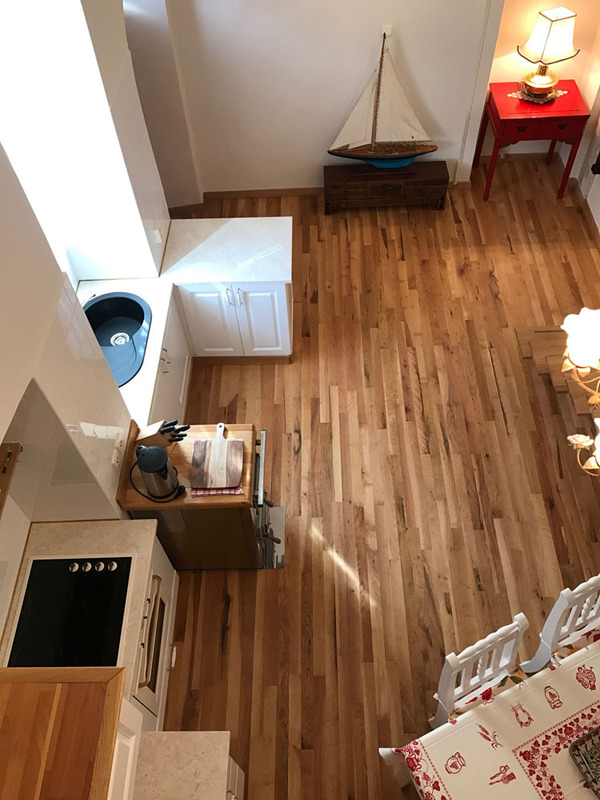 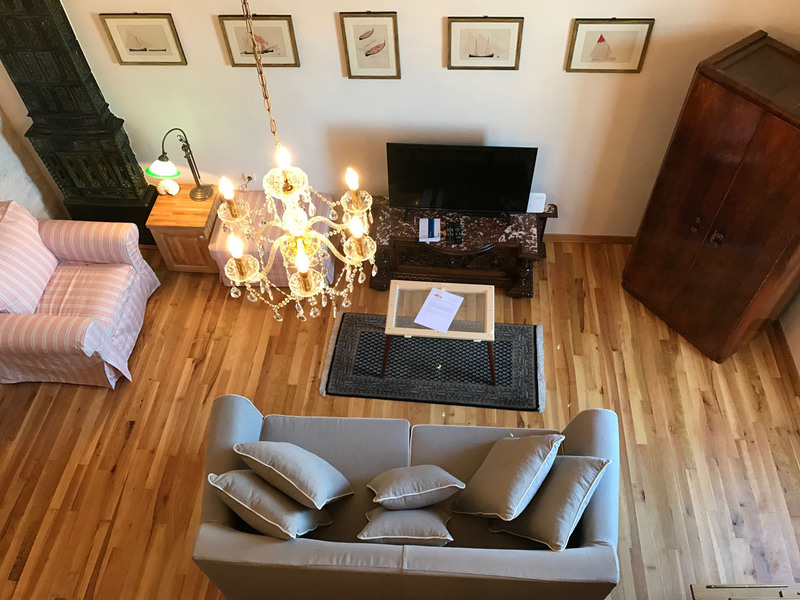 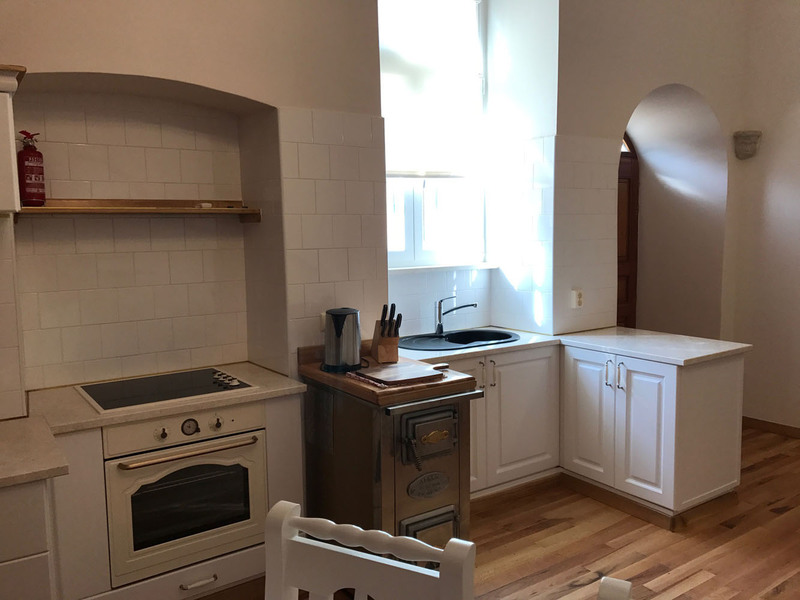 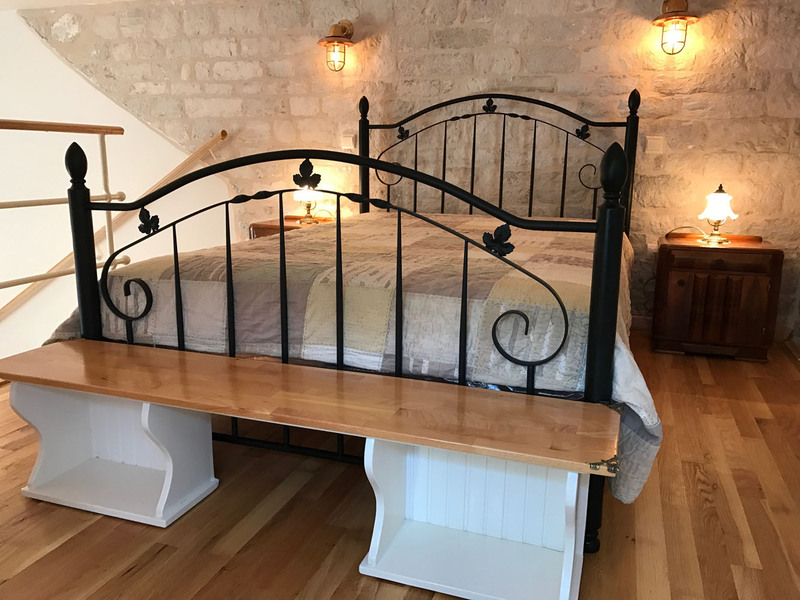 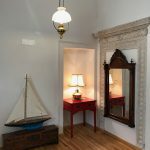 The apartment is ideally suited for a couple who are looking for a warm, romantic, and relaxing home-away-from-home; being only few minutes away from the waterfront, cafes and restaurants, ferry terminal, town life, and the city beach, and yet being at a quiet and private location. 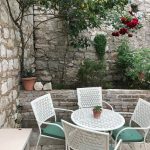 There is a lovely private terrace within few metres from the apartment. 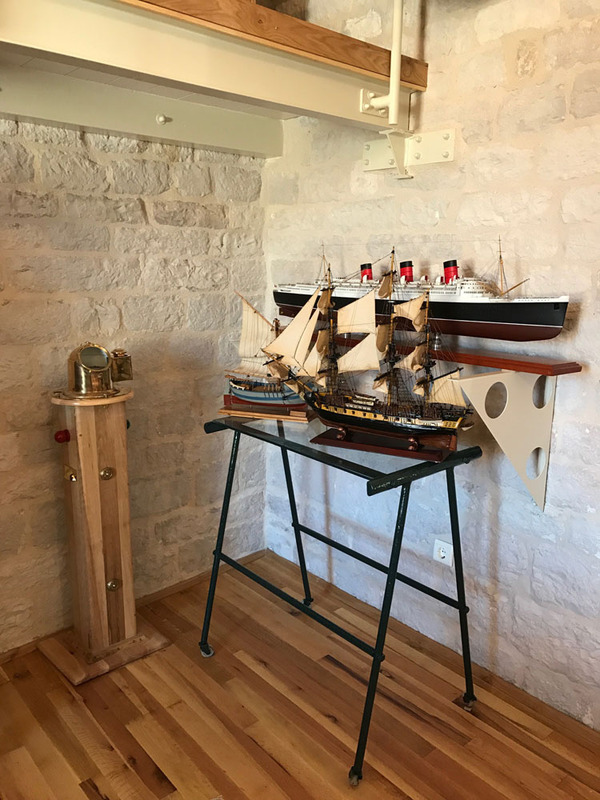 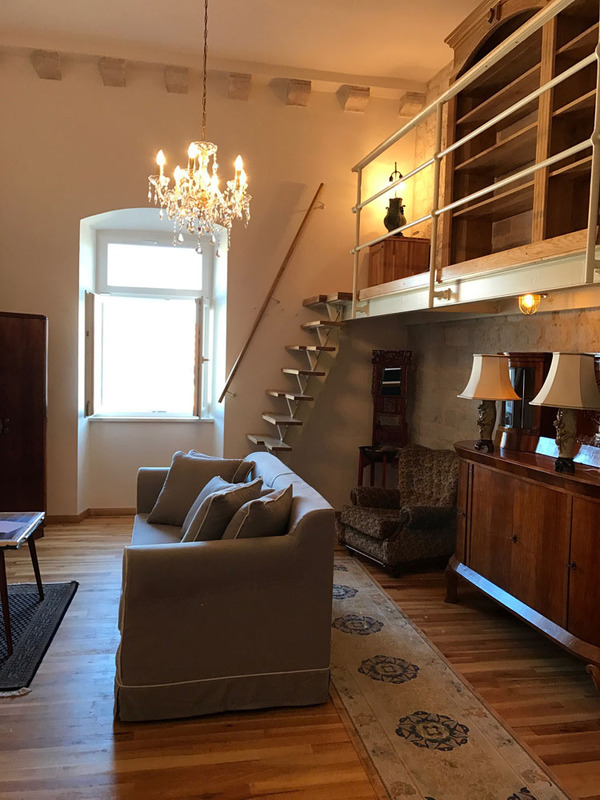 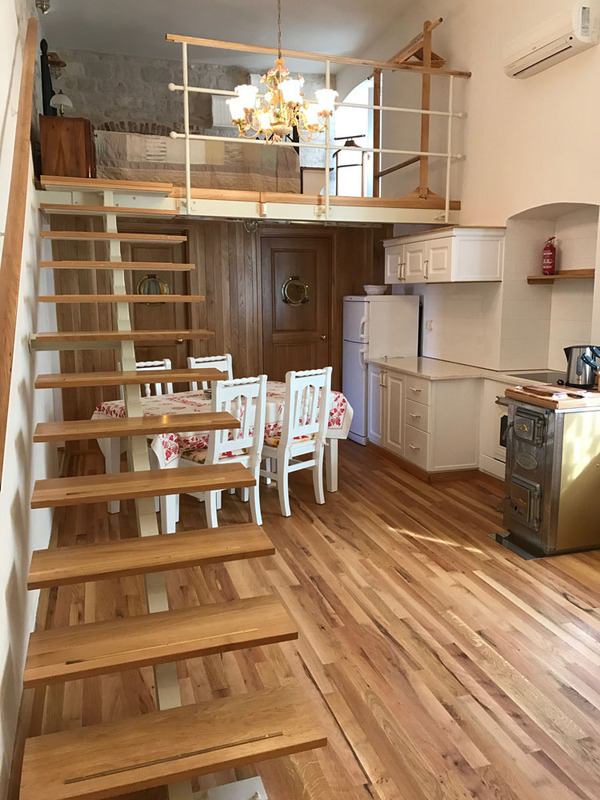 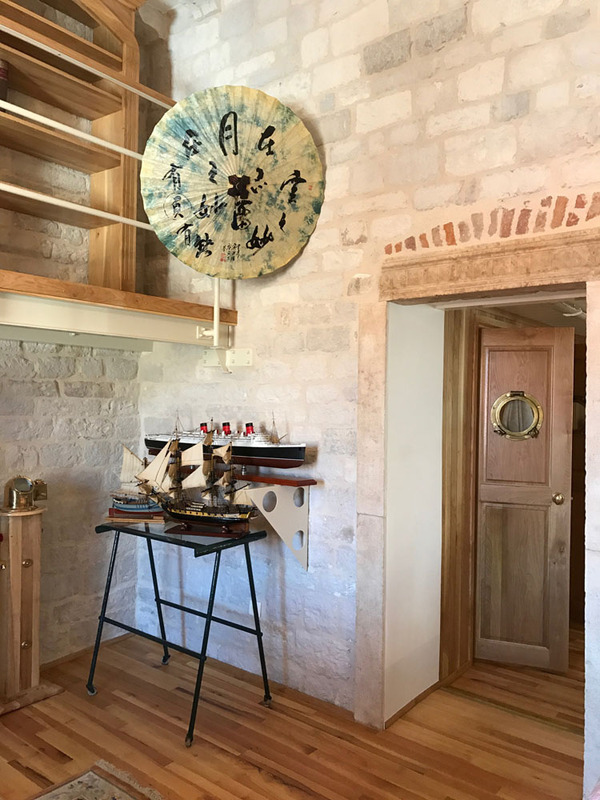 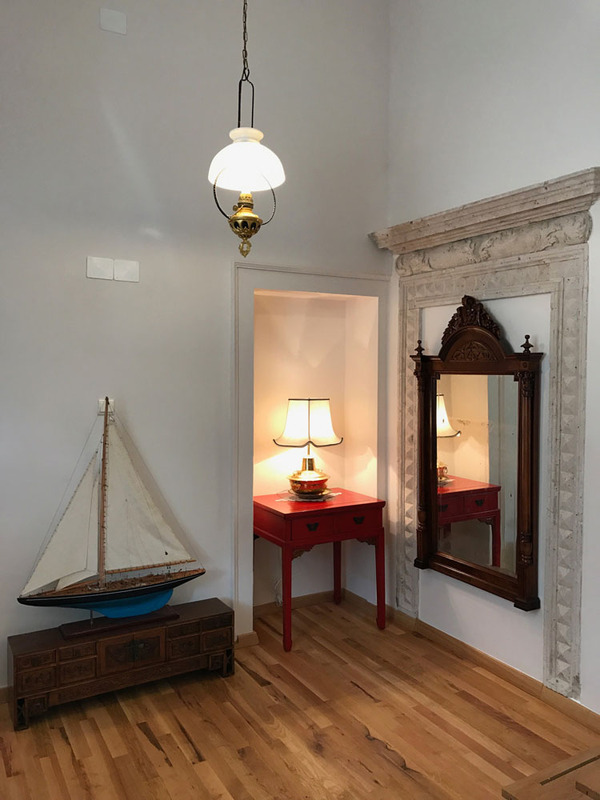 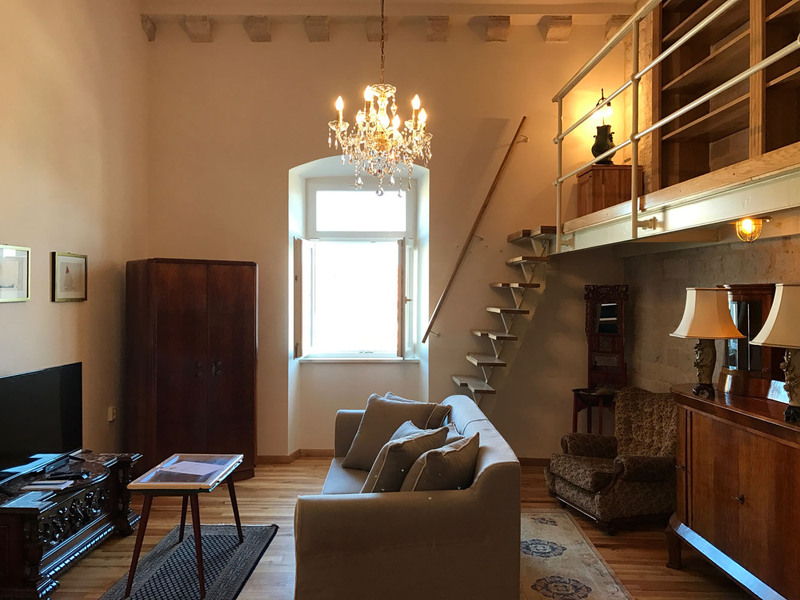 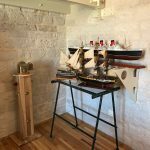 The 17th Century Palace apartment is 56m2 and is carefully furnished and decorated with attention to detail to create a by-gone ship’s ambiance. 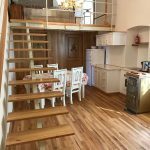 There is a ship’s deck-like gallery with one double bed, a living room with sofa and comfortable sofa chairs, Wi fi, satellite TV, fully equipped kitchen, and dining area. 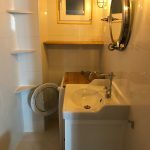 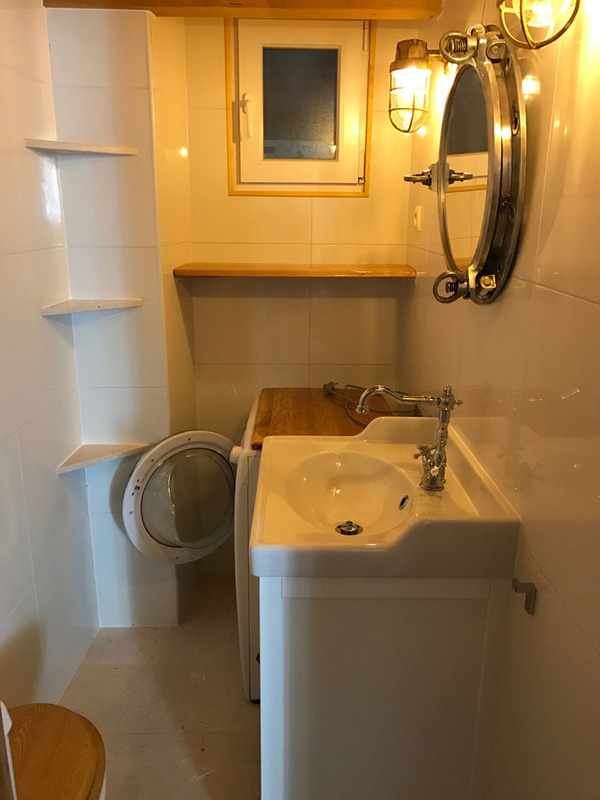 There is a full bathroom with WC, hand-basin and walk in shower, and another separate WC with hand-basin and washing machine. 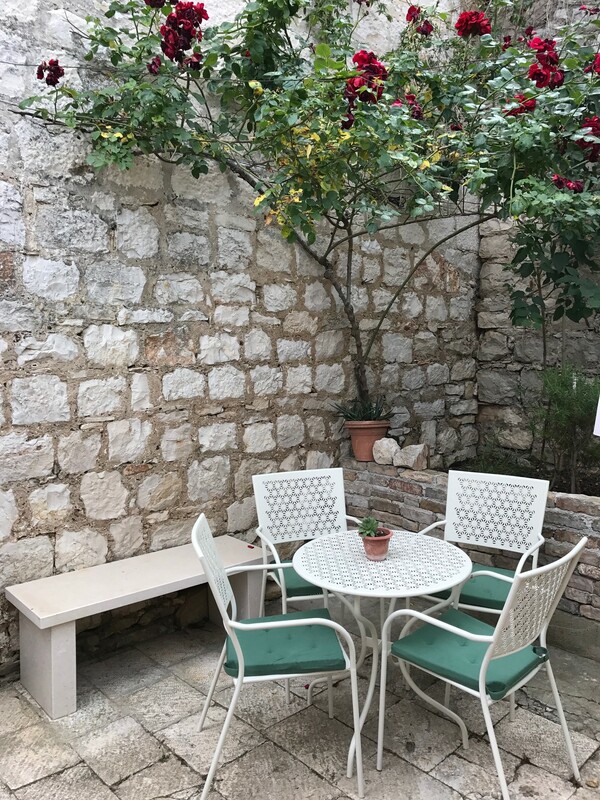 All our guests can enjoy cozy ambiance on a lovely rustic terrace. 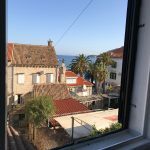 Yes, you can see the harbour from the living room window.